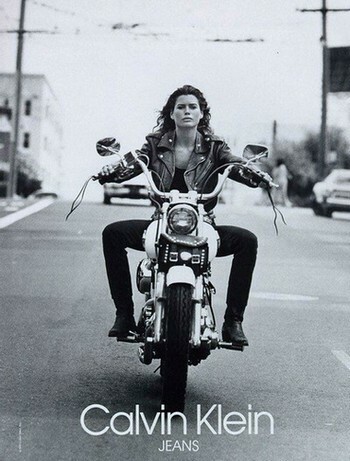 A "biker babe" CK ad, from 1991, featuring Carré Otis riding a motorcycle. Nice, except for the fact that models need not be so skinny! Read her story at The Fashion eZine.